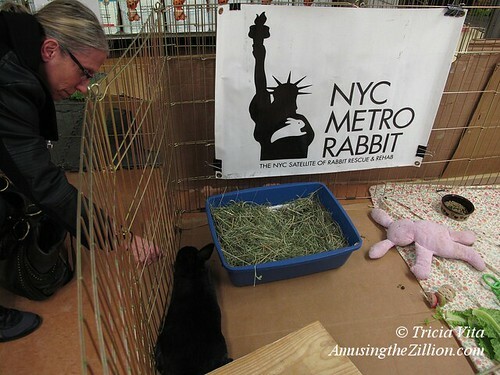 The Coney Island “coney” named Steeplechase made her Broadway debut at Union Square Petco on Saturday, where rescue group NYC Metro Rabbit Rescue has an adoption center. There are 4 rabbits that reside there but it was Steeplechase’s first appearance. The refugee from the bulldozed Coney Island Community Garden was rescued by William Leung and fellow volunteers in January after 21 days on the run. 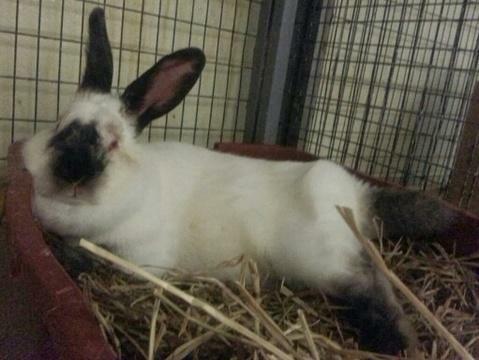 Since then, Steeplechase has received medical care and been spayed, and is now being fostered by Leung, who already has four companion rabbits at his home in Queens. Rabbits dance for each other? “They binky. When he sees her, he binkies all over the place,” explains Leung. Coney Island was named Conyne Eylandt –Rabbit Island– by the Dutch after the wild rabbits that lived here in the 17th century. 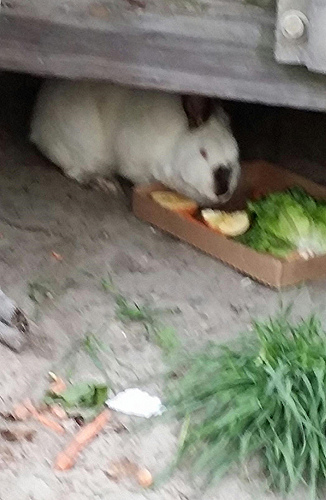 But Steeplechase, a white bunny with black ears, is a Californian breed of domestic rabbit and had lived her entire life outdoors in the boardwalk garden and surrounding area until this year. 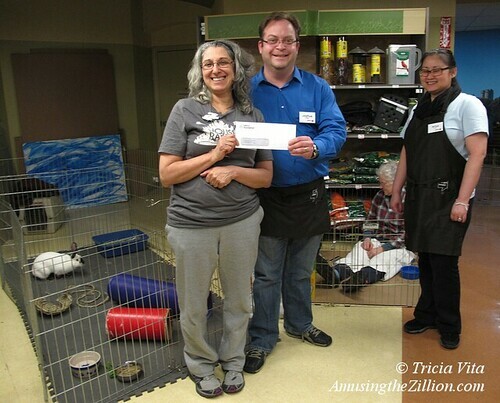 When ATZ visited on Saturday, Josh Axelrod, the longtime manager of the Union Square store, happened to come by to give a check for $2240.79 from the Petco Foundation to NY Metro Rabbit’s Marcie Frishberg. Axelrod said that $1000 came from a Petco-sponsored contest won by Union Square staff and the balance was raised from customer donations at the checkout counter. The Petco Foundation donates about $15 million a year to help more than 8,000 local animal welfare groups across the country. Union Square Petco also hosts Kitty Kind, where we adopted our cat Talulah about two years ago. On Saturday, Long Island Bulldog Rescue also had a booth and the ASPCA’s adoption van was parked outside. 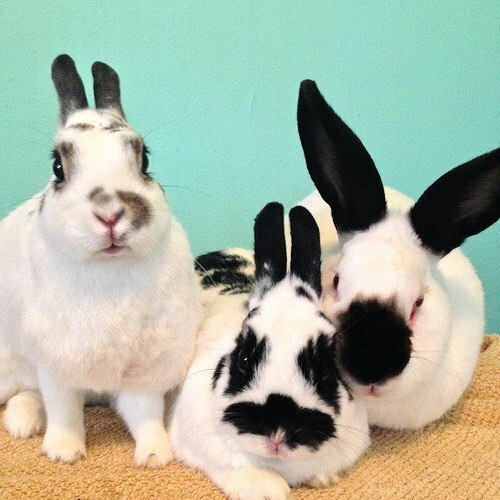 NYC Metro Rabbit Rescue is an all-volunteer, nonprofit organization dedicated to rescuing abandoned New York City rabbits and finding them permanent indoor homes. 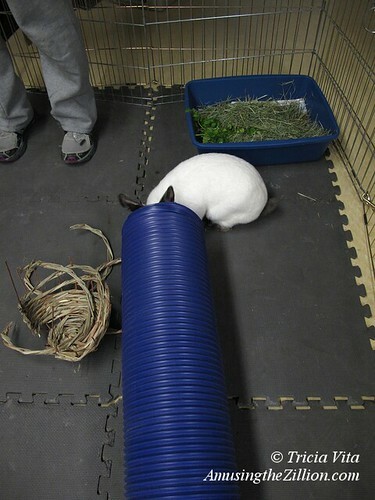 Their website features a plethora of info, from a documentary on what it’s like to live with a companion rabbit to articles on their care and behavior. 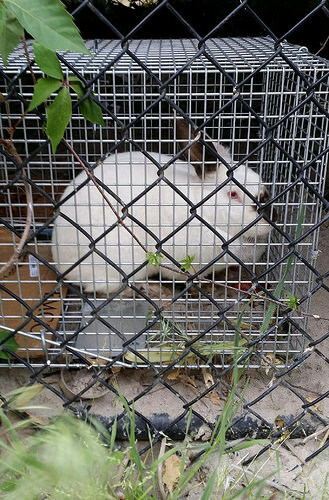 In addition to Union Square Petco, the group has rabbit adoption locations at the Petco on Lexington Avenue and 86th Street and the City’s Center for Animal Care and Control (ACC) on 110th Street at 2nd Avenue. 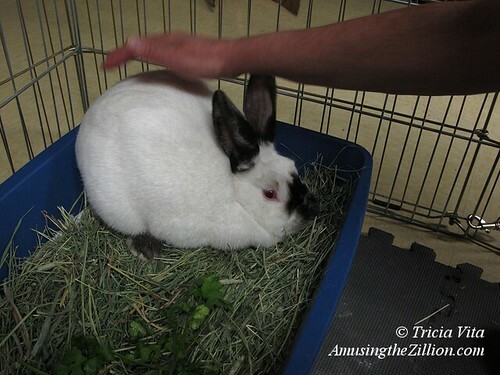 The group is a satellite of Rabbit Rescue and Rehab, which is the downstate NY chapter of the House Rabbit Society. 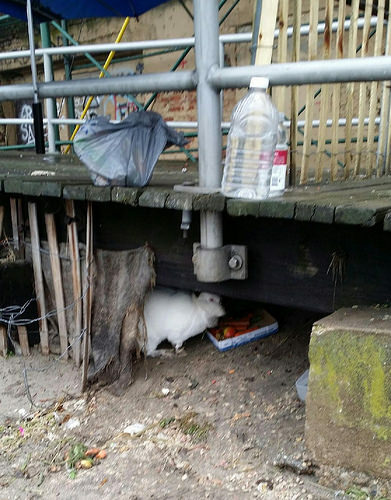 Among the stories of animals being rescued post-Hurricane Sandy, this one caught our eye. A cat named Mermaid rescued in Coney Island! On Friday, a Queens animal rescue group saved the sick cat left behind in Coney Island when its elderly owner was evacuated to a nursing home after Hurricane Sandy. Rescuers from For Animals, Inc. climbed to the 14th floor of a Coney housing project that has no power or heat to get the cat since its guardian will not be returning home. The group has started a chip-in to raise funds for the cat’s medical bills. Mermaid needs a procedure called Total Ear Canal Ablation on her left ear as well as dental work. 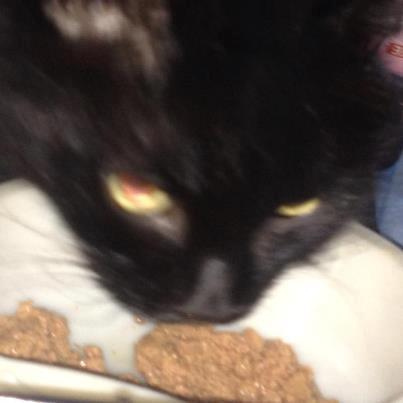 The cat is now in foster care, where she is eating and even purring, say her rescuers. For Animals posted news and videos of the lucky Mermaid on their Facebook page. A full blood panel revealed her WBC were through the roof which could be related to the pyometra or ear polyp. However, the rest of her bloodwork was normal and she is FIV/FeLV negative. Mermaid only has 2 teeth left and they need to be removed but there are a ton of roots so it’s going to be a big dental. We are holding off on this procedure until her overall health improves. You can sponsor a shelter cat by making a donation at For Animals website. The private animal shelter in Ozone Park, Queens also has volunteer opportunities for animal lovers to help socialize and care for rescued cats and kittens. Duties include petting, holding and bonding with cats; socializing kittens; brushing and nail trimming; scooping litter boxes and playing with interactive toys. When Faber’s Fascination closed on Labor Day and began moving out, ATZ reported that the arcade was the last tenant of the soon-to-be demolished Henderson Building. Well, one more tenant- a grey cat – was discovered yesterday by a photographer who went there to document the demolition of the Surf Hotel on the building’s second floor. “The cat went under the gate of Shoot Out the Star into the Henderson Building when I came close,” says the anon photographer. 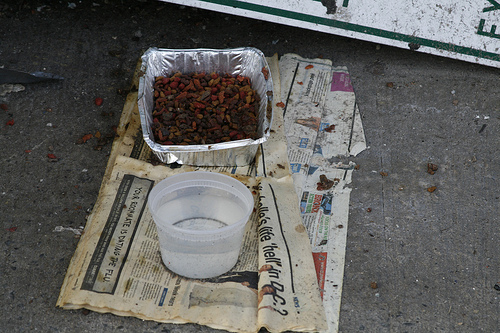 A full plate of food and a full cup of water had been placed outside the building, probably by one of the cat lovers who care for Coney Island’s feral, stray and abandoned cat population. As our regular readers know, ATZ loves a Coney Island cat story, preferably with photos or a video. 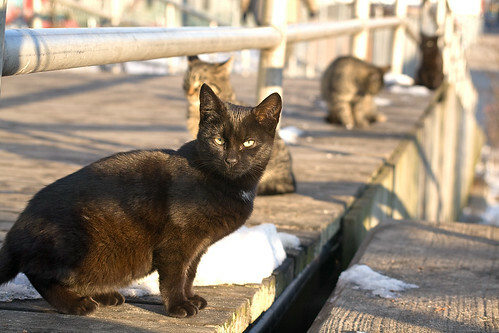 For “I Love NYC Pets Month” in January, we wrote about the cats who live beneath the ramps to Coney Island’s Boardwalk and within its vacant buildings and an attempted cat rescue. We regularly feature Coney Island cats and kittens up for adoption. Now we seem to have hit upon an unfortunate new theme: cats displaced by redevelopment. The appearance of the Henderson Building cat amid yesterday’s demolition of the Surf Hotel and the removal of the hotel’s original sign reminded us of our last day at Astroland. We’re not referring to the park’s last day of operation on Sept 7, 2008. We mean Astroland’s very last day, the day the lease expired and the property had to be vacated: January 31, 2009. On that day, we helped rescue a few signs from the water flume for the Coney Island History Project. By then there wasn’t much left of Astroland and we didn’t have the heart to take more than a few photos. One of the pix that we didn’t take: Two stray cats who had long found shelter in Astroland and were displaced by the teardown. As we stood outside the now demolished Feltman’s kitchen –home of the hot dog–and peered in at the original tile floor, the cats paced and waited. An Astroland worker came out and fed the Astro cats their last meal. 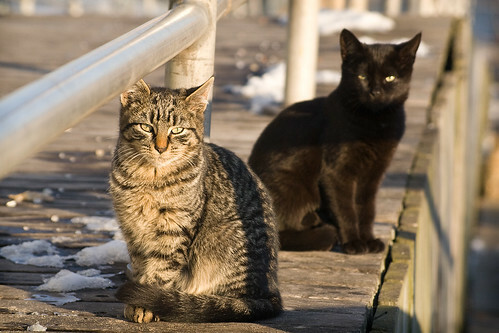 For information about feral cats, visit the website of the New York City Feral Cats Initiative, a joint program of two private non-profit organizations–the Mayor’s Alliance for NYC’s Animals and Neighborhood Cats. September 6, 2010: Cutie & Patootie: Coney Island Kittens Up for Adoption! Shortly after disembarking the subway train, I noticed a man feeding cats, not just one or two, but tens of cats. I asked him what he was doing. He was from New Jersey and worked as a volunteer for an organisation that helps animals. He had driven to Coney Island to pick up a specific cat that a friend had told him about. It had been recently abandoned and it had been seen in the area. Because the cat was not feral, and relatively housebound, he thought it was not necessary to bring a cage with him. However, upon arrival, he noticed another cat that had a sore on its face. 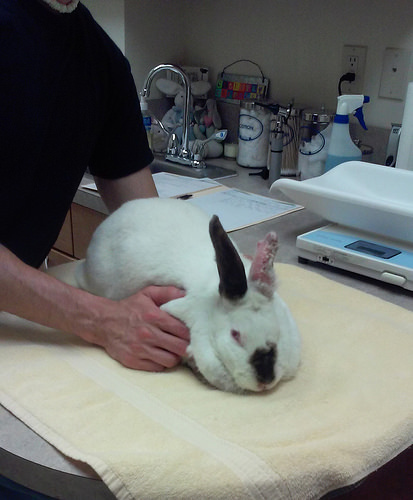 He thought it may be a tumor and was concerned about its welfare and wanted to take it to a friend of his who is a vet. He slowly fed the cat for more than half an hour in an attempt to coax the cat into the car. Finally, after gaining enough trust to be able to touch the cat, he grabbed it by the scruff of its neck. He said that feral cats either immediately relax in a closed environment or go nuts. As you can see from the video, this cat was not comfortable. I stopped filming because I was concerned that the cat was going to hurt itself. I can tell you that the man opened the door shortly afterward (a couple of seconds) and the cat calmly stepped out of the car and wandered off. He told me that he would return later that day with a cage and attempt to find the cat. I am a bit of an advocate of adopting stray pets. We rescued our cat Kitty (original name!) from the streets and she lived to be seventeen years old! We understand completely, Devin. After our own beloved 13-year-old cat went to cat heaven, we find ourselves spending a lot of time “just looking” at photos on Petfinder. By February we’ll be ready to adopt or foster a cat or two. Here’s a calendar of animal adoption events in New York City and a list of animal rescue groups grouped by borough. If you can’t adopt a pet, please consider helping out these organizations by volunteering or making a donation to support their work. Me-ow. September 9, 2009: More Genuine Coney Island Kittens Up for Adoption!